Built in 1966, the Athena has plenty of outdated condominiums waiting for a renovator’s sledgehammer. What’s doubly great is the units are big and the prices relatively small. As I write about new apartment buildings crowing at their 900-square-foot average unit size, I think about the older buildings. 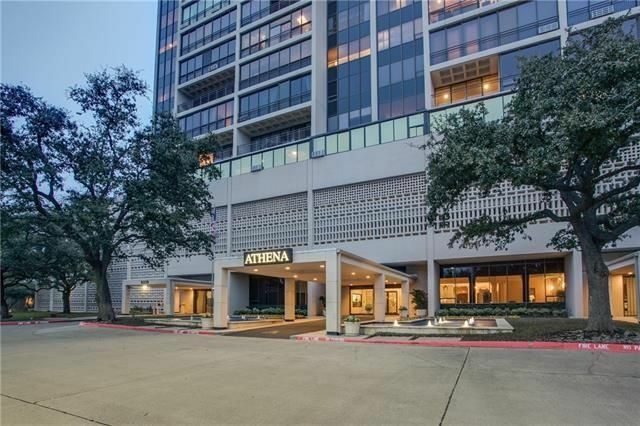 For example, the average unit size at the Athena is 1,721 square feet. If you figure that most balconies have been enclosed, that jumps to 1,950 square feet. Where ya gonna find that for under $300-large? Unit 1313 is a two-bedroom, two-bathroom home with 1,770 square feet. Sure, the listing says 1,543, but that’s because DCAD is too asleep to count the enclosed balcony in their calculations. As you can tell from the photo above, most Athena balconies have been enclosed. As a balcony lover, I’ll also add that you can restore the balcony for some pretty big outdoor space. It’s not like a 1,543-square-foot, two-bedroom is tiny by any measure.